Widnes Wild picked up 3 points from 4 in a weekend that saw them stake their claim for the 4th and final play off place. With a 12 point gap between Sheffield Senators in 3rd and Wild in 4th, it seems as if Solihull, Telford and Sens will occupy the top 3 places come the end of the season but Hull Jets have games in hand over all the teams above them. 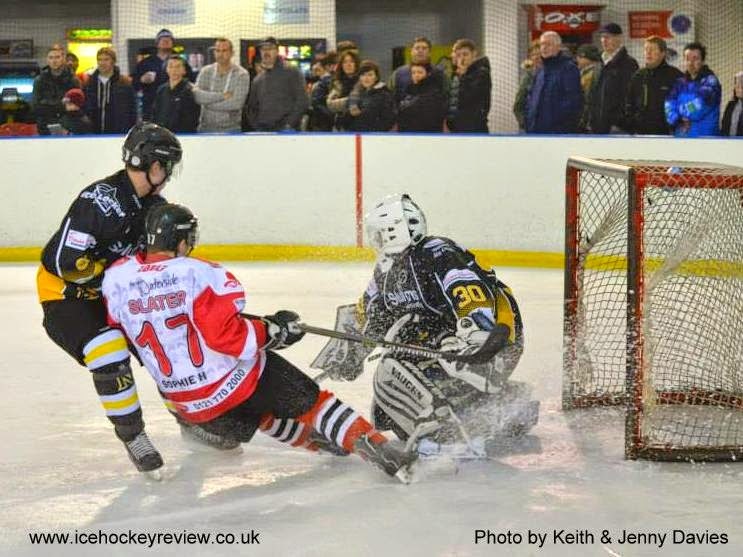 Wild drew 2-2 away at Blackburn Eagles on Saturday and then dispatched Hull 5-3 at home on Sunday. Deeside Dragons came away from Telford with an 8-8 draw with second place Tigers courtesy of a last minute equaliser by Chris Jones. New signing Tomas Mitrik picked up his first Dragons goals with 3+0 and James Parsons top scored with 3+3. In the other game of the weekend, leaders Solihull Barons beat Nottingham Lions 7-2 to notch up their 23rd consecutive win of the season. They are now 9 points clear at the top of the Laidler Conference with a game in hand over Telford Tigers.